Your Guide To Fire Alarm Maintenance | Calgary Alarm Inc.
Test and calibrate the alarm sensors, including the smoke and flame detectors, at least once a month. Follow the manufacturer’s instructions to identify the testing requirements, re-installation guidelines, and failure modes for the different sensors. This will ensure that the alarm works as expected. 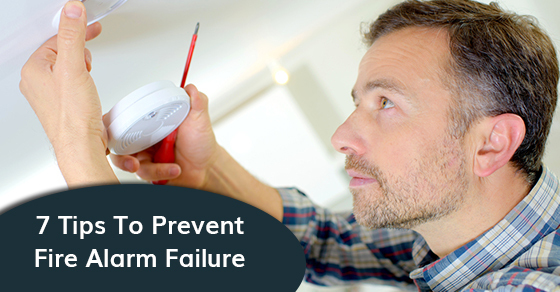 If the alarm test fails, replace the batteries and test it again. Replace the batteries in your fire alarm system as soon as the alarm “chirps” to indicate low battery, or once a year. Also check them for corrosion during regular cleaning and replace them as need be. Test the system to ensure the power supply works. Dust or vacuum fire alarm units regularly, following the manufacturer’s instructions. If you wait too long, the smoke detectors may start sounding “nuisance alarms.” If the noises don’t stop after cleaning, try moving them further from the bathrooms and kitchens where steam and cooking fumes activate the alarm. Schedule a professional inspection of the fire alarm system twice a year. Companies that offer installation of this equipment also provide specialist service and maintenance as part of the agreement. The number of visits should be based on the risk assessment, but two visits per year should be enough to identify any need for repairs or replacement. This will ensure that the system works when needed, reduces the risk of unwanted alarms and related costs, and prolongs the overall functional life of the equipment. Plan fire drills about four times a year to ensure that everyone in your home can identify and respond to the sound of the alarm appropriately. Consider installing an automatic fire sprinkler system when remodelling your home. It can increase your survival rate in the event of a fire by up to 82 percent. Replace the fire alarm unit every ten years. Even with timely and proper maintenance, these units don’t last forever. Make sure to get new alarms and update the entire fire suppression system to ensure it works when an emergency arises. You should never “borrow” a battery from your fire alarm system sensors. You may forget to replace them, and smoke alarm systems with no source of power won’t alert you in the event of a fire.